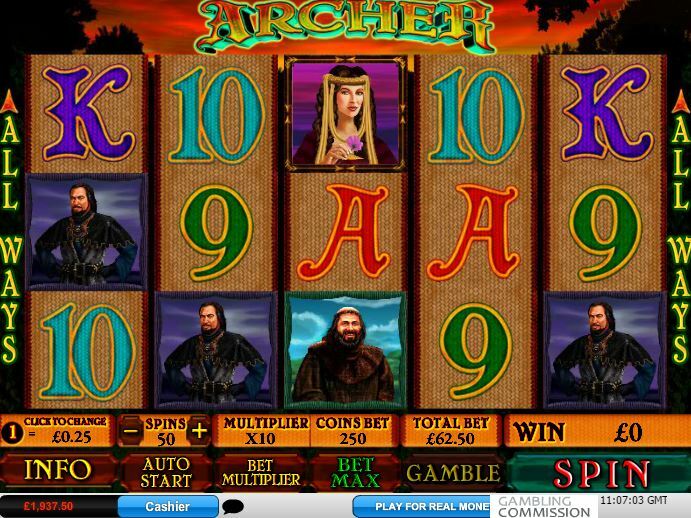 Archer slot from Playtech has 243 ways to win and is themed on the medieval bowmen of the time. 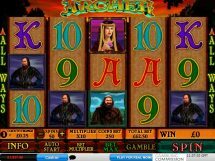 There are Wilds on the middle 3 reels only and before we get to the bonus round there is an interesting in-play feature. 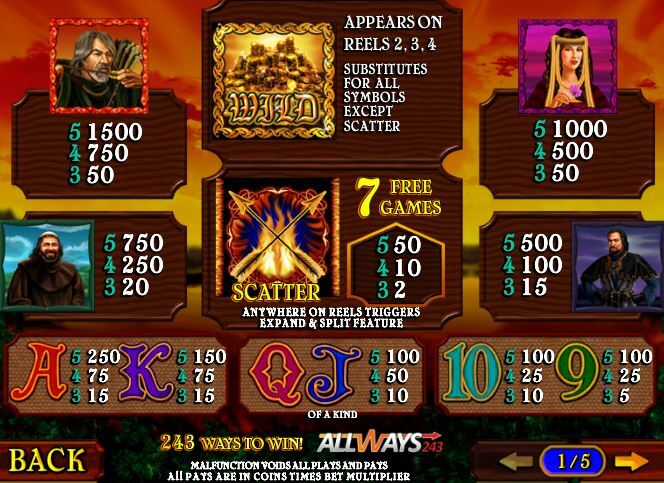 Should you get just one scatter and there is a symbol within a winning combination with an arrow surround, then it will expand over the reel to triple the amount of ways it pays for. 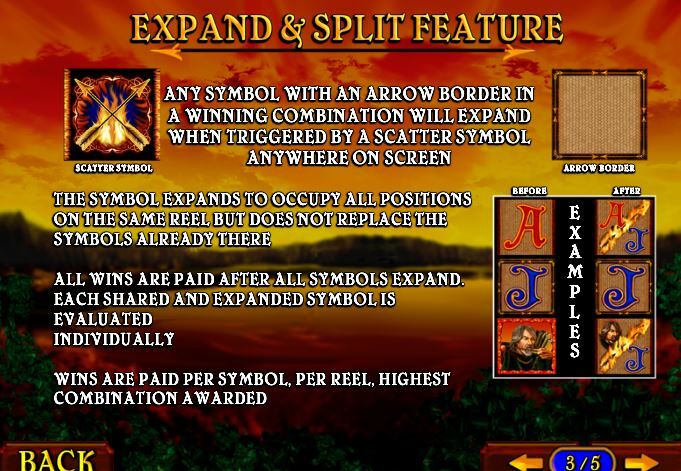 It won’t remove the symbols it expands over though, but split them which is helpful if they are part of another win themselves. 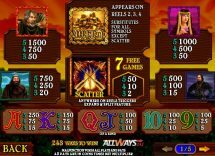 Battlestar Galactica slot has Wilds which split in the same way. 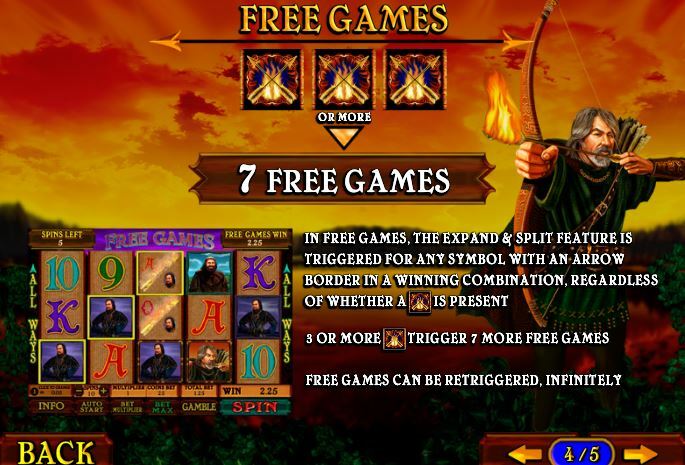 Three flaming arrow scatters will trigger 7 free spins in which all arrow-surrounded symbols will expand and split without the need for any scatter(s) on the screen. You can retrigger them too. RTP is 94.99%.